There are an estimated 250,000 people suffering with M.E in the United Kingdom, our aim is help achieve a greater recognition supporting sufferers and carers along the way. WHO ARE WE? 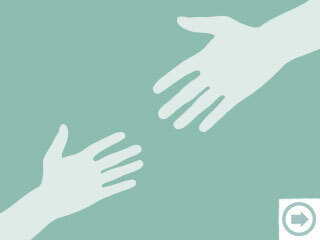 – A charity supporting those with M.E / C.F.S or Fibromyalgia. We have been established since 1988, revived and renamed in 2004 / 2005 by a small group of volunteers with personal experience of M.E or Fibromyalgia who wanted to see change. Whether you suffer from the debilitating effects of Myalgic Encephalomyelitis, Chronic Fatigue Syndrome or Fibromyalgia, (more commonly referred to as M.E / C.F.S) or are supporting a family member or friend we hope you will find us informative and friendly. We also welcome all in the medical field, social services, benefit agencies and support agencies as our aim is to raise awareness and services for people with these conditions. MESiG covers all ‘CF’ postcodes and further afield. WHAT DO WE OFFER? – A support group meeting once a month on first Monday 2-3.30pm in Bethel Church Community Centre, Llangranog Rd, Llanishen, Cardiff, CF14 5BJ. We publish a newsletter twice a year with latest info and events. We offer home visits to those unable to get out. We raise awareness and hold fundraisers. We arrange for speakers to come and talk about relevant topics. We help with form filling and lifts to appointments. WHY DO WE DO IT? – There is very little information available for people battling this illness and their Carers. We invite you to come and share your experiences of what helps you and what doesn’t with others, so we can learn and support each other, over tea/coffee and biscuits. All are welcome, please note that people with similar conditions are also welcome to come along. We do encourage you to subscribe to MESiG, to enable the organisation to keep active on behalf of those battling M.E / C.F.S / Fibromyalgia. Our administration fee albeit small, grants you access to the outstanding member privileges! We are a very relaxed organisation and these meetings are usually just a great opportunity for us all to get out, meet new people and discuss anything we like. Refreshments and comfortable seating. Occasionally guest speakers are invited to general meetings and members have the opportunity to join in with presentations if they desire. We compile and send out news letters to all members twice a year to keep them updated on current affairs that may be of interest. 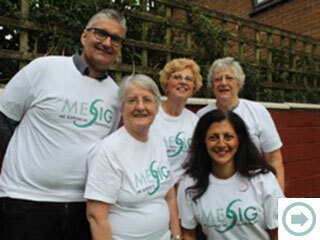 To become a part of MESiG simply go to the contacts page and follow the instructions provided. Join likeminded people, Join MESiG Today! When do your meetings take place? We meet every first Monday of each month between 2.00 – 3.30pm. Should this fall on a bank holiday, the meeting will then take place the following week. Can I attend your meeting if I am not a member? Yes, please feel free to join us at our monthly meetings, however we can only offer you full support if you are subscribed. Your subscription fee enables us to stay active helping those battling M.E / C.F.S / Fibromyalgia. 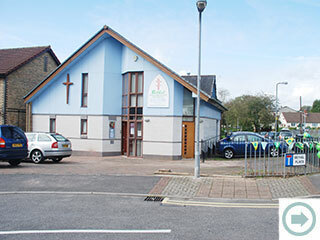 Our meetings are now held at Bethel Church Community Centre, Llangranog Rd, Llanishen, Cardiff CF14 5BJ. From Thornhill Road, Llangranog Road is the second turning on the right off of Templeton Avenue. I don't have my own transport, is there help available? If you need a lift and live locally, please don’t hesitate to contact us. If we are available, a member of the team will try their best to come and collect you. You can also telephone Dee on 02920 842499 or contact V.E.S.T which is a free local service. “Finding expert advice was always the hard part”. I live in Cardiff and after several years of suffering and tests, I have been diagnosed with having fibromyalgia by my GP and Rheumatology consultant. I am seeking a support group as no-one around me can understand what I go through on a daily basis and I feel very isolated. I was diagnosed with C.F.S / M.E several years ago by a now retired consultant in Bristol. I am left without any real support and in the middle of the worst flare up in a while, I don’t really know where to go for good medical advice. Can you help? Are there any good GP’s or consultants in Cardiff? I am the mother of a beautiful teenage girl who was diagnosed with C.F.S in 2014. She has a ‘classic’ presentation of glandular fever followed by lengthy relapses. We as a family just need some support from others living with this debilitating condition… I have no idea how to help my girl!